There is something wonderful about the perfect blend of story and illustration. We have a few shelves devoted to picture books in our family library, and they are among our favorite gifts to give. Here are a few you might look at for the young (or young at heart) readers on your list. Blurb: "Busy city! Beep, beep, beep! 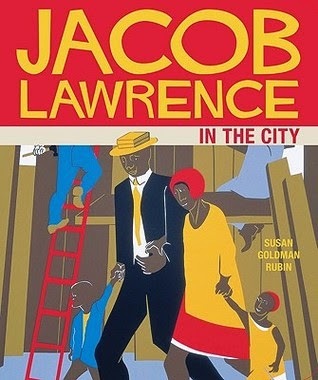 Jacob Lawrence's exuberant artwork guides readers through a bustling city, complete with builders rat-a-tatting and children playing in the streets. With rhythmic text and 11 iconic paintings, this book is both an introduction to an influential artist and a celebration of city life." This one is a board book - the books with the thick chunky pages that your baby can't rip through (unless your kid is Superbaby). I love the artwork. "Steampunk is fun! Steampunk is imaginative! It's making something new out of something old. It's dressing up in clothing from long ago. It's inventing machines out of hardware and found objects. It's creating a make-believe world! 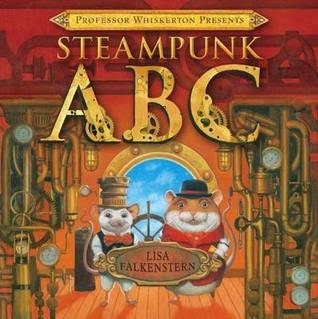 In Professor Whiskerton Presents Steampunk ABC, two mice dressed in Victorian clothing use gadgets and found objects ? each starting with a letter of the alphabet?to build something fantastic - which is revealed at the end. A wonderful and delightful surprise!" It's a steampunk ABC - obviously it should be in everyones personal library. 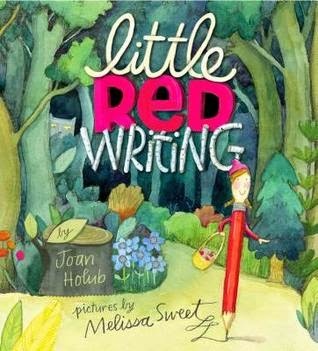 "Acclaimed writer Joan Holub and Caldecott Honoree Melissa Sweet team up in this hilarious and exuberant retelling of Little Red Riding Hood, in which a brave, little red pencil finds her way through the many perils of writing a story, faces a ravenous pencil sharpener (the Wolf 3000)... and saves the day." Words are everything in this story - Red needs to find the right ones for her story, and they also come in handy when dealing with a big bad wolf. 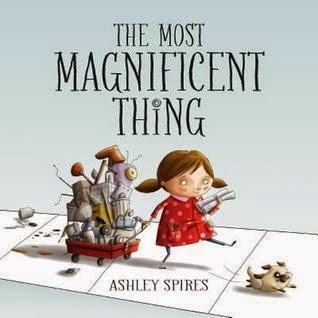 "Award-winning author and illustrator Ashley Spires has created a charming picture book about an unnamed girl and her very best friend, who happens to be a dog. The girl has a wonderful idea. "She is going to make the most MAGNIFICENT thing! She knows just how it will look. She knows just how it will work. All she has to do is make it, and she makes things all the time. Easy-peasy!" But making her magnificent thing is anything but easy, and the girl tries and fails, repeatedly. Eventually, the girl gets really, really mad. She is so mad, in fact, that she quits. But after her dog convinces her to take a walk, she comes back to her project with renewed enthusiasm and manages to get it just right. For the early grades' exploration of character education, this funny book offers a perfect example of the rewards of perseverance and creativity. The girl's frustration and anger are vividly depicted in the detailed art, and the story offers good options for dealing honestly with these feelings, while at the same time reassuring children that it's okay to make mistakes. The clever use of verbs in groups of threes is both fun and functional, offering opportunities for wonderful vocabulary enrichment. The girl doesn't just "make" her magnificent thing -- she "tinkers and hammers and measures," she "smoothes and wrenches and fiddles," she "twists and tweaks and fastens." These precise action words are likely to fire up the imaginations of youngsters eager to create their own inventions and is a great tie-in to learning about Science, Technology, Engineering and Math." A little inventor and her dog create the most magnificent thing ever, in the end. The process, the frustration, the trial and error, I really like this story. "Rosie may seem quiet during the day, but at night she's a brilliant inventor of gizmos and gadgets who dreams of becoming a great engineer. 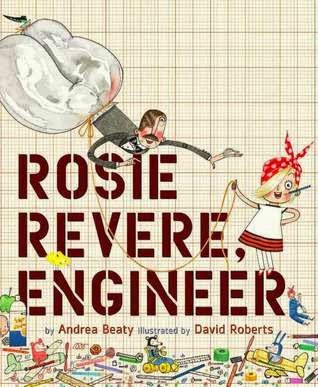 When her great-great-aunt Rose (Rosie the Riveter) comes for a visit and mentions her one unfinished goal--to fly--Rosie sets to work building a contraption to make her aunt's dream come true. But when her contraption doesn't fl y but rather hovers for a moment and then crashes, Rosie deems the invention a failure. On the contrary, Aunt Rose inisists that Rosie's contraption was a raging success. You can only truly fail, she explains, if you quit." Poor Rosie starts out so afraid of failure. I think a lot of times we parents forget how important failure is, how much you learn from it, and how the fear of failure really holds you back. "From Dav Pilkey, creator of Captain Underpants, and acclaimed artist Dan Santat, an out-of-this-world friendship adventure with all-new full-color illustrations! Originally published in 2000, this edition features brand-new full-color illustrations throughout!" 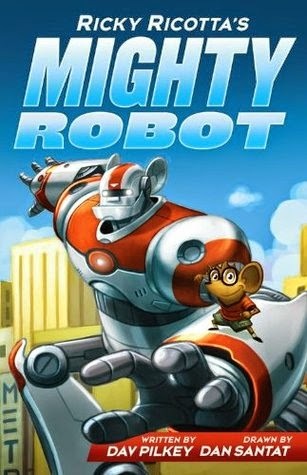 My older kids love these, the action, humor but most of all, the pictures. They are chapter books, but the illustrations take center stage. They're currently being re-released with full-color graphics. Books 1-5 are out now and make fantastic gifts. 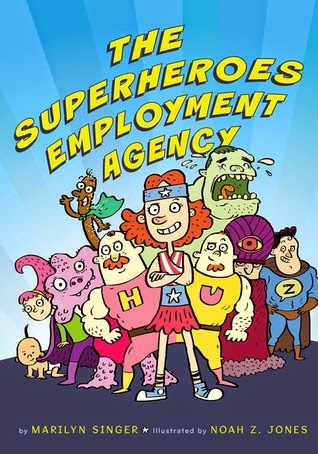 "From Blunder Woman and Muffy the Vampire Sprayer to Stuporman and The Bulk, meet the members of the Superheroes Employment Agency—lovable misfits with oddball powers who make up for their lack of fame with an eagerness to please and a can-do attitude. These humorous, kid-friendly poems are sure to entertain while introducing readers to poetry in a fun, lighthearted, and accessible way. Told in Marilyn Singer’s witty verse and Noah Z. Jones’s hilarious illustrations, their story will make you laugh and cheer on these champions in their quests for heroic jobs." It's an illustrated poetry book and we all had a ton of fun reading it. Singer also has Monster Museum, another good one to check out.